A controversial scholar/journalist’s quasi-academic account of how she helped transform Australian land dedicated to dairy farming back into rain forest. Though based for much of her career in England, Greer (Shakespeare’s Wife, 2008, etc.) had always intended to return to her native Australia. For 20 years, she roved across the continent’s desert interior “hunting for [her] own patch of ground.” The land she would eventually buy was in southeast Queensland, not far from the Gold Coast and near areas overrun by tourists. 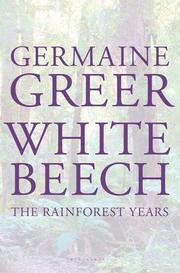 Partly inspired by her botanist sister, Greer decided to rehabilitate the remains of a rain forest growing on her property, “[b]attered by clearing, by logging, by spraying and worse.” Not only did she seek to heal a small piece of her beloved Australia; she also wanted to demonstrate that restoring the land to itself was the work of “dedicated individuals.” Government efforts at environmental conservation had been a failure. The little money delegated to preservation had been used to “protect the tourists from themselves.” None had been spent on restoring Australian flora threatened by plant species brought to the continent by early settlers with the “civilizing” aim of making their new home look more like Britain. With seemingly limitless vigor, Greer documents her rain forest finds—including Australian white beech trees nearly logged out of existence—and the indigenous and post-colonial histories of the land she would call the Cave Creek Rainforest Rehabilitation Scheme. Her late-life foray into environmentalism and the establishment of a charity that would preserve the land on which she cheerfully spent her life savings are nothing short of extraordinary. At the same time, her enthusiasm for spreading the gospel of biodiversity is also a source of narrative weakness. The scholarly presentation of textual material and lack of more personal details regarding her Australian rain forest venture will strike readers as overly fastidious and tiresome. Passionate and well-intended but not especially accessible.